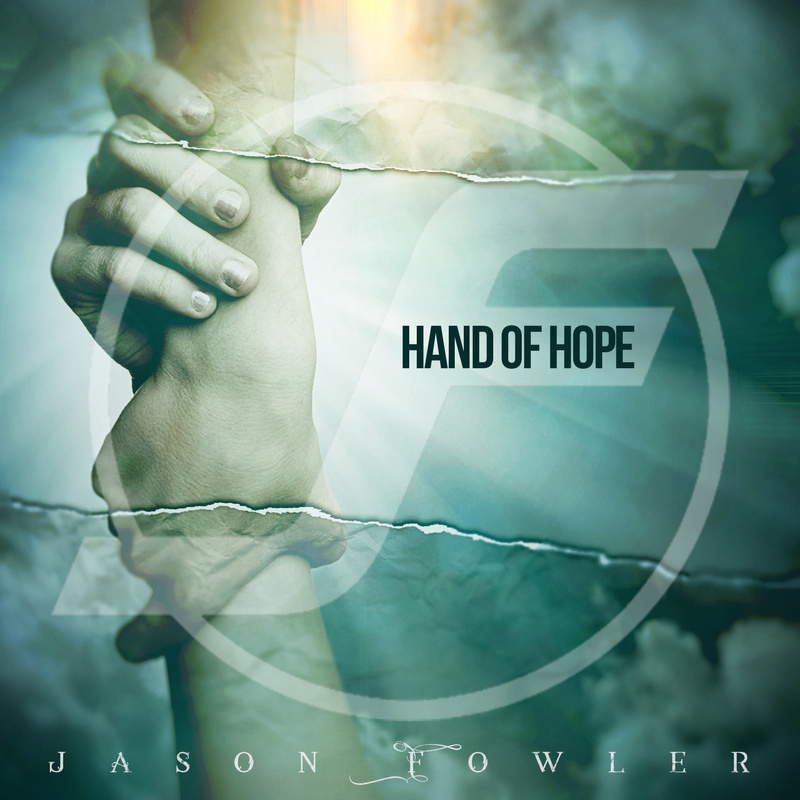 Atlanta/Nashville rock singer/songwriter Jason Fowler is releasing his brand new single 'Hand of Hope'. Fowler is currently putting the final touches on his third solo album, which is earmarked for an early 2019 release. "Jesus came to give us eternal life. He is the Hope of the world and paid the ultimate price to save us all. 'Hand of Hope' is about helping each other and sharing His love", explains Jason. "We're in this together, through all kinds of weather, now and forever, take my hand the Hand of Hope." Just read the lyrics to any of your favorite Led Zeppelin, The Allman Brothers Band, or U2 tunes and chances are you would be quite familiar with Jason Fowler’s life story. The Georgia native has lived a life that truly reflects his art - troubled to some, enviable to many and yet remarkable to most anyone who hears the soft-spoken musician recount it. Fowler admits that his diehard, all-or-nothing approach to life has sometimes been both a blessing and a curse. But lately, it’s all been a blessing. That wasn’t the case at the start of his musical journey. Living a rock ‘n’ roll lifestyle eventually caused the artist to hit rock bottom. “At rock bottom,” Jason says, “That's where I began recovering from a place of hopelessness.” He adds, “It is also where I discovered that it was not God who left me, but I who left Him.” He went from a rising star with a lucrative record contract, to being addicted and homeless on the streets of Atlanta, to finding redemption through Grace - and now he shares that story through his music. Fowler grew up in a musical family and notes, “My dad sings like Pavarotti, my Uncle Mike taught me guitar, and my Uncle Chris has a doctorate in musical performance. Some of my earliest memories were at my granny’s house, with everyone singing and dancing to “Pony Boy” by The Allman Brothers Band. When Fowler was sixteen he heard a friend playing Lynyrd Skynyrd’s “Sweet Home Alabama” on guitar. This sparked his musical fire and Jason bought his first guitar. Shortly after his dad offered him a new guitar if he learned to play “Jessica,” also by The Allman Brothers Band. Fowler honed his talents for music and writing as a teen. By his twenties he was working on several projects and ultimately landed a record deal with his band Ultraphonic. They were produced by Bryan Holmes (The Producers) and, coincidentally, Johnny Sandlin, who produced The Allman Brothers Band, Widespread Panic and Wet Willie. Fowler and his band spent several months recording with the legendary “Swampers” at MS Sound in Muscle Shoals, Alabama - just like the song. Then the unthinkable happened… The record label was bought out by Microsoft and the album was shelved. What seemed to be the pinnacle of a life long-held dream, ended up a nightmare of epic proportions. After the breakup of the label, band, and dreams of stardom, Fowler landed a solo deal with Mil Cannon at Imagemil in Atlanta (Usher, Whitney Houston, Carrie Underwood). Fowler was given another chance. With expectations high, Fowler was on his way back, but still carrying his old hurts, habits, and hangups, fueled by drugs and alcohol. By this time Jason didn’t know how to live a sober life, which affected his personal and professional relationships. His tenure at Imagemil didn’t last very long. Mil and members of the Imagemil team confronted Fowler with the facts: he was out of control and needed help. They had to let him go. Fowler was stubborn and his substance abuse issues did not go away quietly. Over time, he spiraled, ending up homeless and alone. After being kicked out of a drug dealer’s house, Fowler finally waved the white flag of surrender. Broken, lost, and hopeless, Fowler entered a Christian-based rehab in Athens, Georgia, called The Healing Place. He stayed there for an entire year, but it was in that facility where the fog eventually lifted and Fowler rededicated his life to Jesus. “It’s like a country song backwards,” Fowler said. “I started getting things back in my life instead of losing them. I had lost, my relationship with God, my family, my friends, and myself.” But this wasn’t a sad ending. This was simply the end of his old life, and a new beginning of Fowler’s career as a Christian artist, a worship leader and a speaker. Fowler’s debut solo album, Letters from the Inside (Black Cat Records, 2014), was produced by Jason Hoard (Third Day, Mac Powell, Jamie Grace, Natalie Grant). Musically it tells his journey back from homelessness, addiction, and hopelessness. It took almost five years for Fowler to clear his head and his musical passion to return. The songs from Letters from the Inside were snapshots of Fowler’s journey and newfound faith. The ten songs were recorded in Griffin, Georgia over a period of two months. Fowler recruited long time friend and drummer Shane Evans, formerly of Collective Soul, as the backbone of the album and his touring band. The two began to share the message of hope and redemption, mostly to young people and up-and-coming musicians who were about to embark on their own journeys. I Fall In (Rcity Records, 2016) is Fowler’s second album, which took Fowler on a sojourn to Nashville. It was there where he recorded at Dark Horse Studios with Grammy-nominated producer Billy Smiley (White Heart, Johnny Cash, Bebe and Cece Winans). Together they recruited a heavy-hitter list of talented artists for his sophomore effort, which included Leigh Nash (Sixpence None the Richer), Will Turpin (Collective Soul), Peter Furler (Newsboys), Steve Brewster (Chicago, Bob Seger, Amy Grant), Anthony Sallee (Michael W. Smith, White Heart), Jillian Edwards, Blair Masters (Casting Crowns, Garth Brooks, Mercy Me), and Jared Kneale (Kacey Musgrave, Ben Rector), and even his aunt, Joy Waters Fowler, to name just a few. The album also provided an opportunity for Fowler to mend his relationship with Imagemil founder Mil Cannon, who directed Fowler in three music videos. The Nashville adventure also led to a professional collaboration with legendary vocalist John Schlitt (Petra, Head East) and Billy Smiley (Whiteheart) to form The Union of Sinners and Saints in 2016. They followed up their 12-song debut album with a nationwide tour of churches and venues, singing, sharing their testimonies and witnessing to fellow Christians about their fame, follies and fellowship.